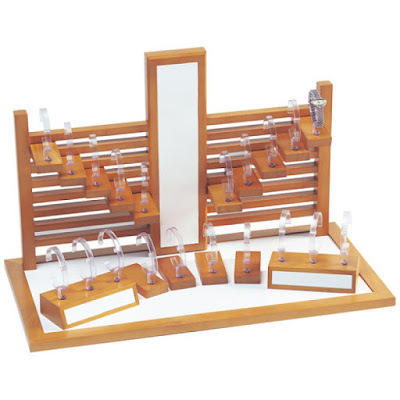 Take care of your timepiece collection with these displays. Watches are one of the most bought presents for both men and women. 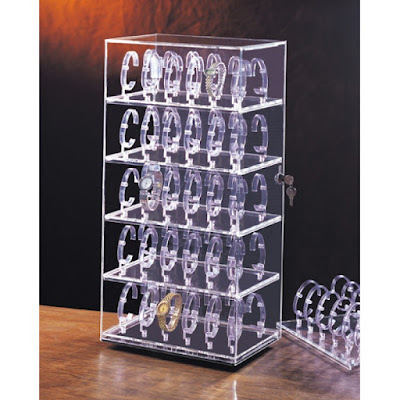 And if you are one of those who owns a vast collection of this accessory, you need a display organizer for all of them. This week, we’ll be highlighting a few of our watch displays that may interest watch collectors and sellers alike. 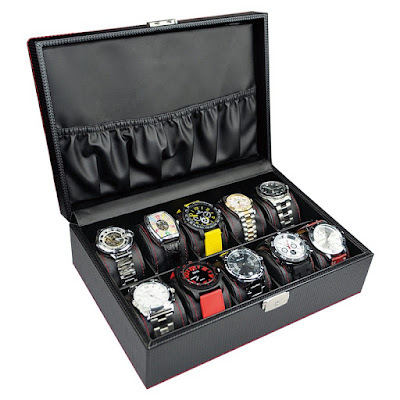 This Premium Leatherette Watch Case with Lock can hold a collection of 20 watches. It is made of high-quality faux leather in a classic black color and luxurious gray velvet that is soft to touch. This case has two levels with removable velvet pillows. 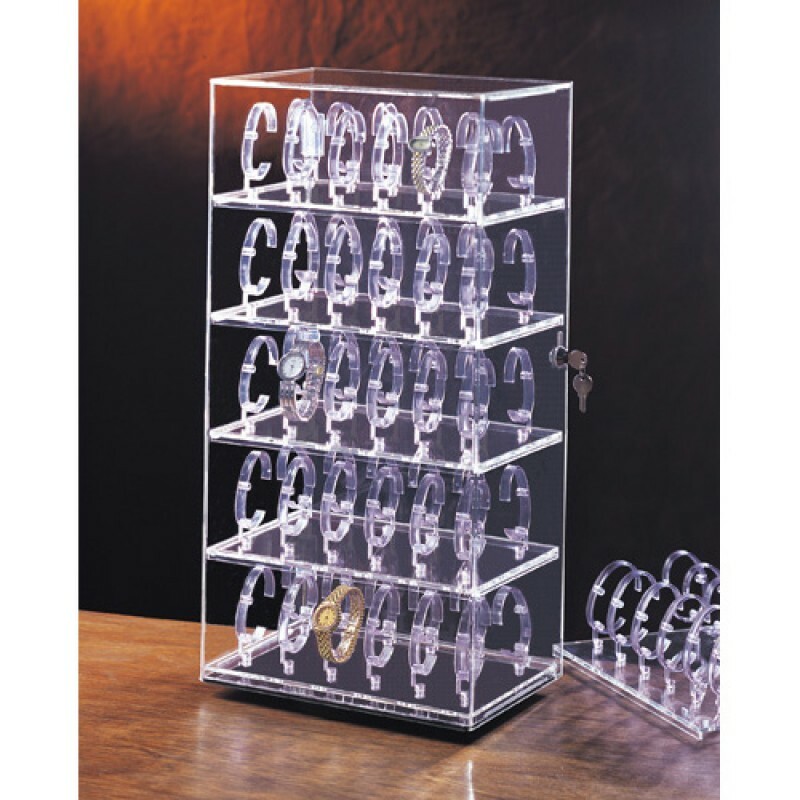 You can keep your collection free of dirt and dust with the clear glass lid. The gold-tone lock allows you to keep your timepieces safe from little children. And the best thing about this case? It is eco-friendly and ergonomic. For a smaller collection, this Leatherette Watch Box is perfect. It can hold a collection of eight timepieces that are up to 40 mm wide. This sturdy box is made of a sleek faux black leather exterior with an equally elegant black velvet interior. The watch pillows are removable and have two wings for easy getting and storing. 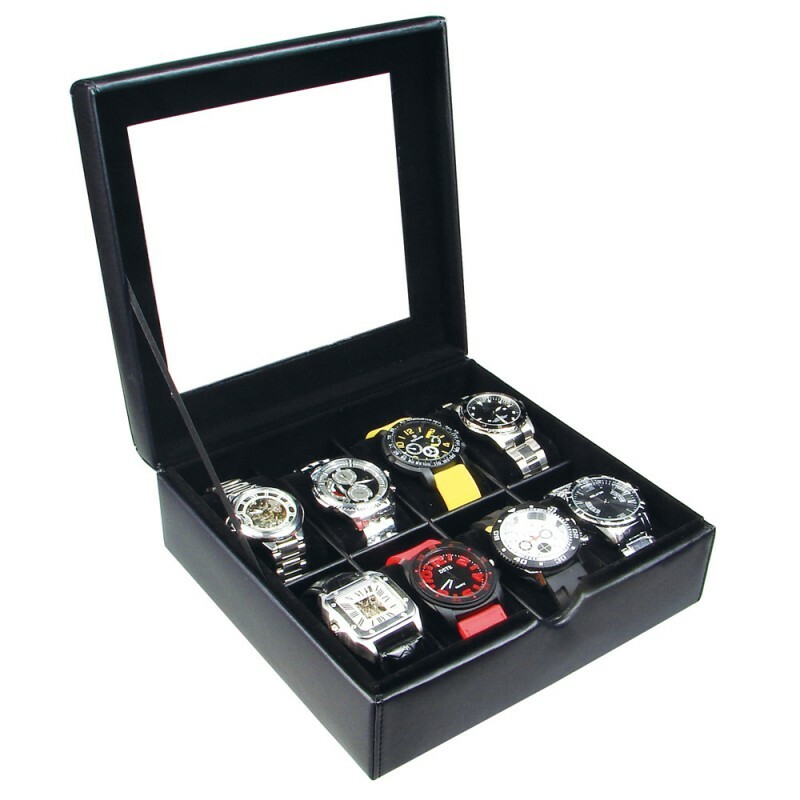 The Leatherette Watch Box is also lightweight and easy to clean. 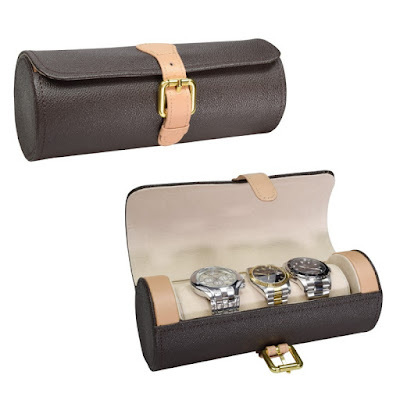 The Leatherette Watch Storage Case is ideal for watch-loving travel buffs or business people who are always out traveling. 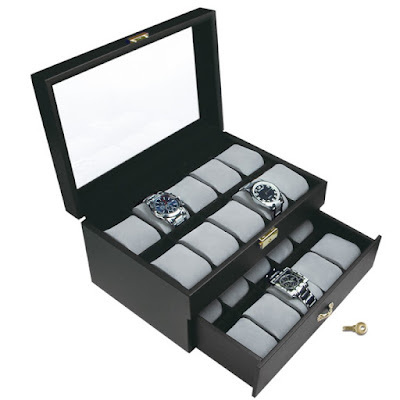 This case can hold three to four watches depending on the size, but it can fit a watch that is up to 50 mm wide. It’s made of a unique rollable PU leather with a gold-tone lock to keep your collection secure. The Leatherette Watch Storage Case is available in brown and gray. For sellers or a proud collector of timepieces, the Watch Display Set is a necessity. It looks almost like a lovely necklace display except that it showcases timepieces. It’s made of sturdy wood and comes in two colors -- white and natural wood. The stand holds five pieces on each side on different levels. You can showcase your most expensive ones on the ten stands on the front. This huge set measures 25 ¾” W x 13” D x 16 ½”H. Lastly, this Wooden Watch Box with Key Lock is ideal for a medium-sized timepiece collection. It can hold up to 10 watches. It’s made of sturdy wood covered with a stylish black carbon fiber with an elegant check pattern. It features a key lock to keep your collection safe from little children. This Wooden Watch Box has gartered storage pocket under the cover for thinner watches or other small accessories or a small watch repair kit. Want to see more of these watch displays? There’s more where they came from! Browse the shop for our collection of watch cases and boxes, as well as other watch accessories for your needs.